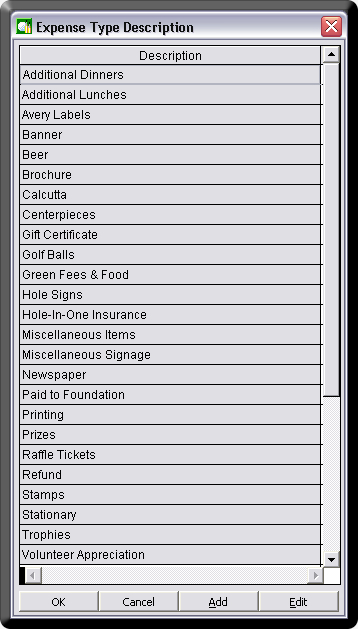 The Expense section provides line item detail on all golf tournament expenses. 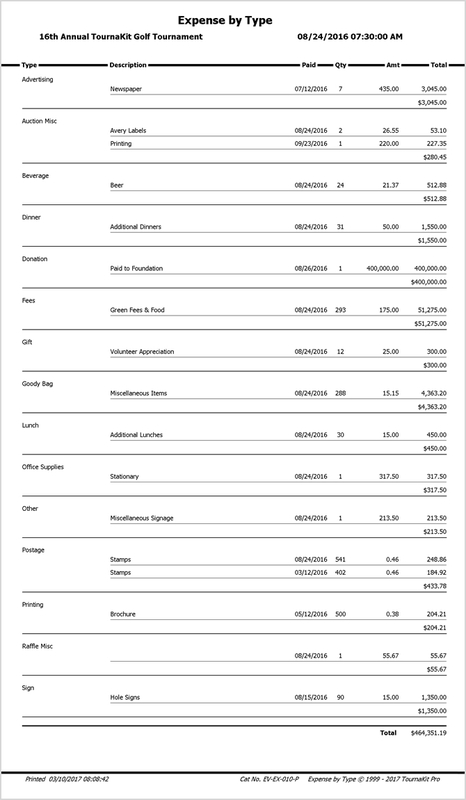 Entries made in the Expense section are automatically summed by Expense Type and posted to the Financial Summary section. 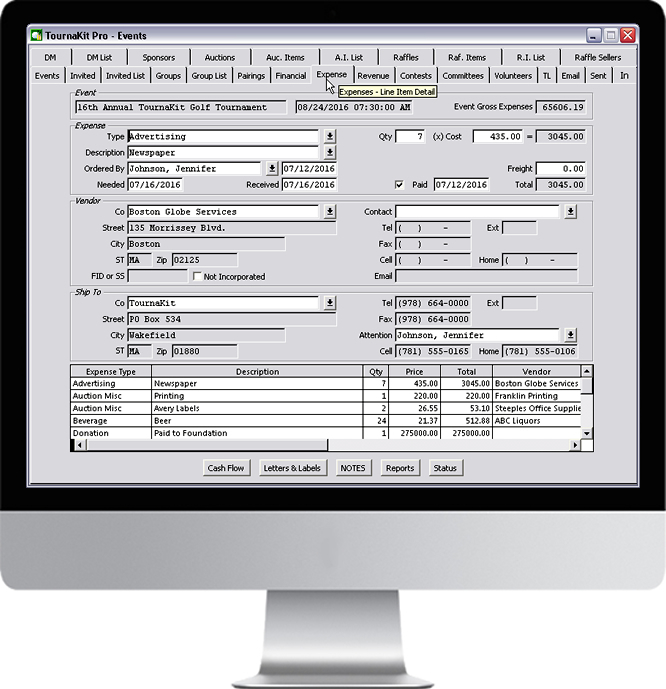 Each Expense record contains a User Defined field labeled 'Description' for further defining the Expense Type.